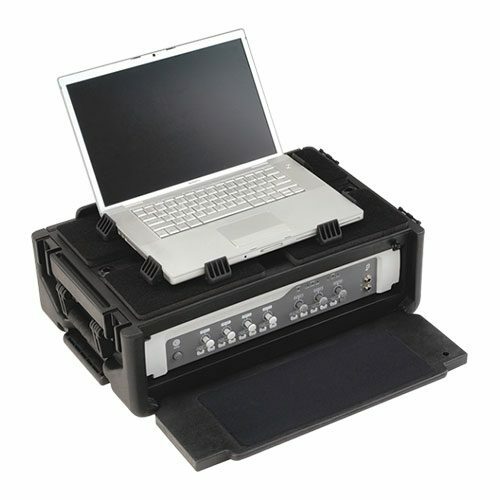 The 1SKB19-RSF2U features a standard 2U rack mount for recording devices or a disk drive and a 19.75″ x 12″ adjustable surface for laptops or LCD screens. 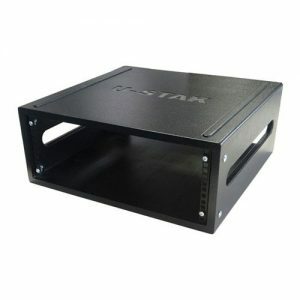 The 2U Studio Flyer is the perfect solution for transporting and protecting portable studio equipment. The 2U Studio Flyer case is roto-moulded with in-line wheels, a two stage injection moulded pull-out handle for easy transport, thick convoluted foam padding in the lid and an innovative cleat system to help secure a laptop during transport, patented glass fibre reinforced nylon trigger release latching system with a TSA recognised and accepted locking latch, and a cushion grip rubber over-moulded handle for carrying comfort. Due to the compact size, the 2U Studio Flyer is the perfect carry-on luggage on certain airlines. Please check with your airline for carry-on specifications.